Migraines can strike at any time and are often so debilitating that you need to hide away in a dark room until it passes. People will often experience a recurrent, throbbing headache that can occasionally be accompanied by disturbed vision, sensitivity to light as well as nausea. 90% of people who suffer from migraines, report that they also experience nausea during the attack and a third feel nauseous with each occurrence. This nausea can be so intense that it interferes with their daily activities and the ability to take medication. One of the best ways to combat and relieve this nausea is with the Traditional Chinese practice of acupressure. As it may not be enough to simply apply pressure manually when a migraine strikes, Sea-Bands will apply continuous pressure to the key spot that stimulates the P6 (Nei Kuan) pressure point. 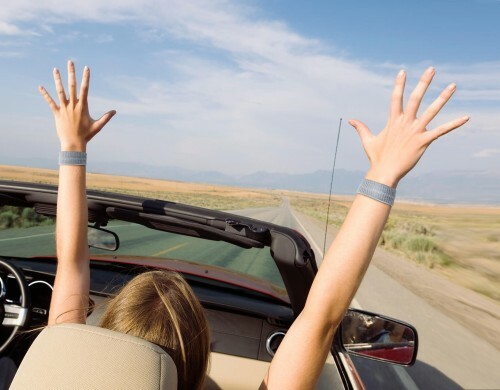 Sea-bands have been clinically tested to help relieve nausea associated with migraines and what’s more, this relief can be felt within 5 minutes of wearing the bands.